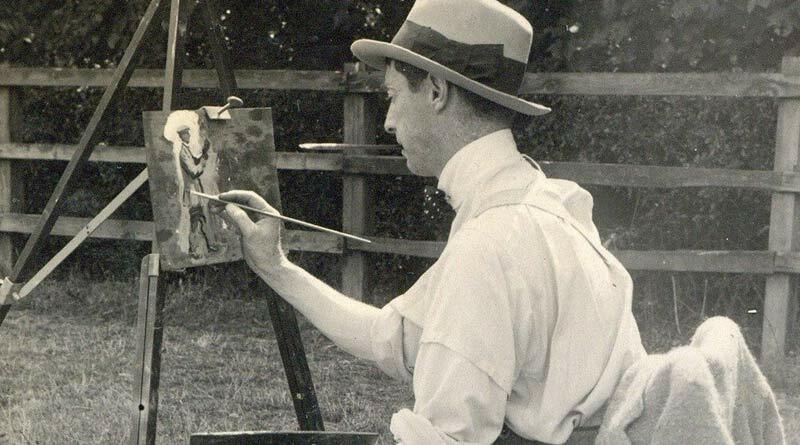 There are hopes that publicity around a London exhibition celebrating the work of Sir Alfred Munnings could end the mystery around a missing painting by the celebrated British equine artist. But one of the 44 paintings is missing. Curator Emma Mawdsley says there are no records to show what became of the painting after the 1919 show. The work is represented on the wall of the museum with an empty frame. It is possible the work went to Canada, given that the brigadier-general was from there. Munnings’ impressionist paintings in the exhibition cover equine subjects, portraiture and pastoral landscapes. They highlight the role of horses in military operations, capturing their beauty in the war-affected landscapes of France in 1918. Munnings provides an insight into the men of the Canadian Cavalry Brigade and the Canadian Forestry Corps. In early 1918, he was embedded with the Canadian Expeditionary Force, an army composed largely of citizen soldiers fighting on the Western Front. The Canadian War Memorials Fund was created by Lord Beaverbrook to document and memorialise the Canadian war effort at home and overseas through paintings and sculpture. Racing’s Juddmonte Group is the local sponsor of the exhibition, and chief executive Douglas Erskine Crum said it was delighted to support the unique showcase of works by one of the country’s finest equine artists. The exhibition, which opens on Friday, runs until March 3 next year. BGen Paterson was from Winnipeg, and presumably took the painting home with him. This information was sent to the NAM on 2 Dec, but we have received no reply to date. Update, the NAM is aware of the painting in Winnipeg.